For a real taste of luxury in a truly unique setting, Lews Castle in the Scottish Outer Hebrides cannot be beaten. Located in Stornoway on the Isle of Lewis, this restored 19th-century castle is surrounded by acres of gorgeous landscape gardens, with a striking exterior constructed in the Gothic Revival style. The building and its surroundings have a unique historical charm, the perfect setting for a genuinely memorable getaway. The castle plays host to a range of characterful apartments, available with 1, 2 or 3 bedrooms and suitable for 1 – 6 guests each. They come complete with all the modern conveniences you need for a self-catering holiday, with fully equipped kitchens, flat-screen TVs and free Wi-Fi. The furnishings and décor are inspired by the magnificent surroundings of the castle and sport many traditional Scottish touches that are certain to delight you throughout your stay. Adding to the elegant ambience of the castle are the beautiful grounds which surround it. Landscaped gardens and spectacular woodlands make the perfect place for a relaxing wander, with an unrivalled view over to the historic Stornoway Harbour. Immerse yourself in local history with a visit to a free museum right on the castle grounds. The Museum nan Eilean boasts a range of exhibits covering the fascinating heritage of the Outer Hebrides. 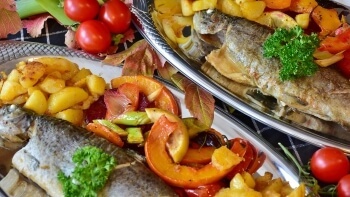 Don’t fancy cooking for yourself? You’re in luck, then, because the on-site Storehouse Café has a range of delicious meals and snacks on offer, or you can just stop in for a tasty hot drink. There’s plenty to do in the grounds of Lews Castle, with regular special events including themed meal nights, family fun days and more. Check their schedule if you’d like to combine your visit with an event. Visible from the castle grounds, and just a few minutes’ drive from the castle, you’ll find Stornoway, the largest town in the Outer Hebrides, offering local shopping and plenty of things to do and see. What could possibly be more unique than taking a holiday in a castle? This is the perfect destination for a truly memorable getaway, with the beautiful surroundings of the castle grounds only adding to the atmosphere. Look no further than Lews Castle as the location for your Outer Hebrides stay. Step into the distant past with a visit to the Blackhouse in Arnol, an example of a traditional type of thatch-roofed Scottish dwelling. History comes to life before your eyes in this atmospheric exhibit where you can see exactly how the people of the Isle of Lewis once lived. Set off from Stornoway Harbour to explore the strait of the Minch and seek out the stunning sight of sea life in its natural environment. 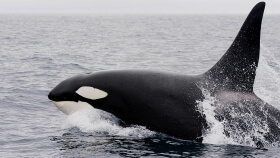 The expert crew will help you to spot whales, dolphins, seals and otters, as well as a variety of sea birds including eagles and puffins. You may have been on a distillery tour or two, but this small-scale operation really is something unique. Founded just a decade ago, in 2008, everything is done in the traditional manner here, prepared by hand with local ingredients. Be sure to stop by and take a look. The secluded and peaceful ruins of St Columba’s Church are just a 10-minute drive from Stornoway. 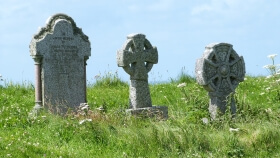 See the remnants of this medieval chapel which dates back to the 14th century, learn all about its history throughout the medieval period, and walk and reflect amongst the ancient gravestones. There’s plenty of places to stop off in nearby Stornoway for a taste of something special. Take a trip to Digby Chick for some fresh, locally caught seafood, or pick up traditional fish and chips from Cameron’s Chip Shop. For light lunches, cakes and coffee in a modern setting, try Artizan. 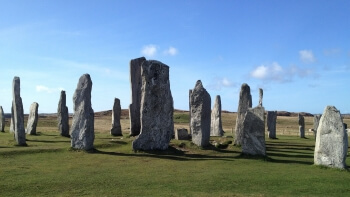 A large part of the Isle of Lewis’s appeal comes from its incredible historical sites. 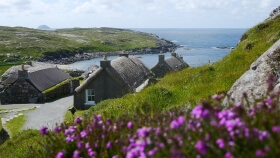 Visit a primitive hut dating back to the Iron Age in Bosta, see an impressive roundhouse (or ‘broch’) from the same era in Corloway, and take a look at the ancient standing stones in Callanish. The Isle of Lewis boasts some striking beaches which make the perfect place for a relaxing walk. 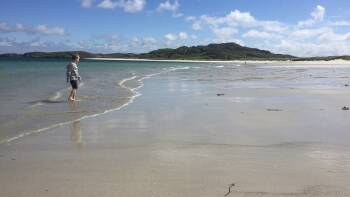 Uig Sands is a beautiful coastal destination which is certainly worth a visit, as is Bosta Beach in Great Bernera, which is also the site of a range of fascinating archaeological finds. 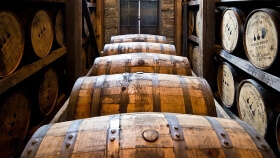 No visit to Scotland is complete without finding out how Scotch whisky is made, and of course sampling a dram yourself. If you're looking for the very best tours and tastings around, we've put together this guide to some distilleries that are definitely worth a visit - and yes, there is one in the Outer Hebrides!